The conclusion of the Confederations Cup football in Brazil last Sunday has removed the immediate focus of popular anger at spendthrift authorities. But with ample time to go before next year’s World Cup and the 2016 Rio Olympics, whose cost has sparked these massive protests, the Brazilian authorities might do well to heed the lessons of history, and ensure they don’t make the same murderous mistakes that the government and Armed Forces made prior to the Mexico Olympics in 1968. The Mexico Games, the first to be held in Latin America, were memorable for many things. Bob Beamon’s world record long jump was so far that the American athlete ended up outside the sand pit. The iconic ‘Black Power’ salute by Tommie Smith and John Carlos (quietly abetted by Aussie Peter Norman wearing a Peace badge) at the men’s 200 metres medal ceremony, resulted in the US sprinters being sent home, and enduring years of criticism and job privation. Another Aussie, multi-world record holder Ron Clarke was pictured inert on the infield, being administered oxygen, after running himself into a stupor in the rarefied air of Mexico City’s 2400 metres altitude. Clarke blames his long-time heart condition on that effort. South Africa had been invited to Mexico, but so many other countries complained about continuing apartheid there that the International Olympic Committee made it known that they were not welcome. Another political victim was celebrated Czech gymnast Vera Caslavska, whose downcast head at her several medal ceremonies was seen as a criticism of the recent Soviet invasion of her homeland. Like Smith and Carlos, she was vilified for years afterwards, in her case by the Czech puppet authorities. But the long shadow that stretches 45 years down the south American continent towards Brazil today is the spectre of the innumerable students and civilians assassinated immediately prior to the Mexico Games in what is remembered as the Tlatelolco Massacre. As in Brazil with what the population sees as wholly inadequate social provision, – public transport, health services, etc – the complaints in Mexico began over the cost ($7.5b in today’s terms) of an international sports festival while the majority of the population was living in poverty. Riding the worldwide spirit of protest in 1968, Mexican students, in particular those at the National Autonomous University (UNAM) demanded democratic accountability and social justice from the US-backed hard-line government, whose ossified party, the PRI had been in power virtually since the revolution over 40 years before. President, Gustavo Díaz responded to the student demands by sending the Army in to occupy the university campus. The university rector, Javier Barros Sierra sided with his students, telling the government, “The military occupation of the University City represents an excessive use of force”. But that use of force was going to get infinitely worse. For the first time in modern Mexican history, the middle classes joined the students and disaffected workers in a protest movement. There was a series of strikes and marches throughout the city, particularly to the Plaza de la Constitución, parliament square; and to Plaza de las Tres Culturas, in the quarter known as Tlatelolco. Up to 600,000 people from all walks of Mexican society turned up to support the demonstrators. On the late afternoon of October 2, ten days before the opening of the Olympic Games, 10,000 people assembled in the Plaza de las Tres Culturas to hear speakers from the National Strike Committee. Despite the presence of police and army, the mood was reported to be calm and carefree. That was soon to change. 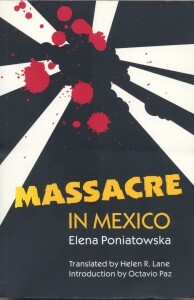 According to Elena Poniatowska, in her acclaimed book of eyewitness accounts, La Noche de Tlatelolco (translated as Massacre in Mexico), published in 1975, ‘flares suddenly appeared in the sky overhead and everyone automatically looked up. The first shots were heard then……. 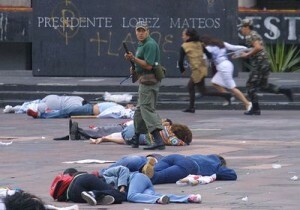 Everyone was terror-stricken, and many of them fell to the ground there in the Plaza…. We could hear heavy rifle fire and the chatter of machines guns. From that moment on, the Plaza de las Tres Culturas was an inferno’. According to the establishment newspapers the following day, the Army and Special Forces were merely responding to gunfire from students and other agitators, but there has never been independent verification of that. What’s more there were many foreign journalists, there for the Olympics, who had attended the gatherings and witnessed no provocation. Hundreds of demonstrators were arrested, often remaining in prison for months, if not years. Official reports put the dead at around two dozen, but unofficial estimates maintain that up to 300 people were killed. But still no one knows the truth, because there has never been an open, public enquiry into the events of Tlatelolco. And as they would do four years later, following the massacre of Israeli athletes in Munich ’72, the International Olympic Committee absolved itself of any involvement or responsibility, and the Mexico City Games of 1968 went ahead. In his foreword to Poniatowska’s 1975 book, celebrated Mexican poet, Octavio Paz wrote, ‘The Student Movement of 1968 and the brutal government repression that brought it to an abrupt end deeply disturbed the Mexican people. A political, social and moral crisis ensued that has not yet been resolved’. Those words remain true today, almost 45 years later. President Vicente Fox, who finally ended the long mandate of the PRI in 2001, released documents which only implied that Poniatowska’s account was close to the truth; and an indictment of genocide against former president Luis Echevarria in 2006 was dropped for lack of evidence three years later. But in every national election since 1968, the Tlatelolco Massacre has remained an issue. 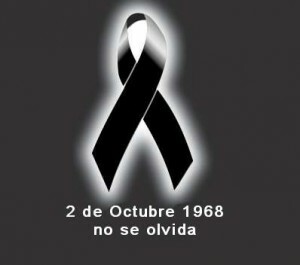 Just five years ago, in 2008, there were two marches in Mexico City, to commemorate the disaster.  According to the organisers, Comité ‘68, over 40,000 people took part. Just two people have died so far in the Brazilian demonstrations, and Latin America including Brazil has moved a long way from the dark days of military dictatorships. But the Brazilian government of Dilma Rousseff would do well to take heed of this sad and tragic continuing story, from a Latin American neighbour.